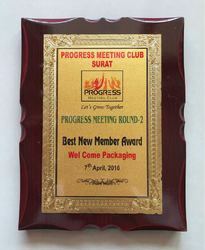 Established in 2011 at Surat (Gujarat, India), we “Welcome Packaging.” are known as the most prominent Manufacturer and Exporter of a comprehensive assortment of bags. The offered range includes D Cut Bag, Plastic Roll, Blanket Bag, Shopping Bag, LD Plastic Bag, Zipped Bangle Box, Cosmetics PVC Bag, Saree Set Cover Bag and Non Woven Shopping Bag. The provided bags are highly acclaimed by our esteemed clients for secure packaging and carrying of apparels and other allied items. The bags, offered by us are designed using quality tested raw material and advanced technology in accordance with the set industry standards. High on demand in the market, the offered bags are widely known for their high strength, perfect finish, captivating prints, easy to carry design, recyclable and tear resistance nature. In addition to this, we also provide these fashionable shopping bags with various customized prints that make them suitable for advertisement, shopping and sales promotions. Besides, we provide these bags to our clients at the most competitive price range. 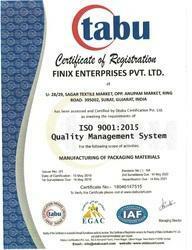 Owing to our advanced infrastructure, we are able to provide a premium quality range of bags for our esteemed clients. We have divided our infrastructure into various divisions to assure a smooth business process. All these divisions are well-facilitated with all the advanced machines and tools to design and manufacture superior quality bags for our clients within the promised time frame. Owing to immense support and expertise of our team, we have been able to fulfill bulk consignments of the clients. Guided under the headship of our Proprietor, “Mr. 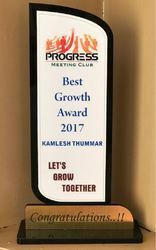 Kamlesh Thummar”, our firm has shown an unbeatable growth rate in leaps and bounds, owing to which we have acquired a good financial position in the market. We have become proficient in catering the varied requirements of our clients by following effective business methodologies. 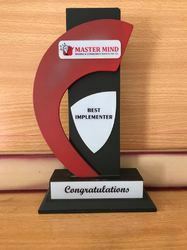 Our sophisticated infrastructure is the strength of our firm that assists us in meeting the variegated requirements of our clients in the best possible manner. We have divided this infrastructure into various divisions that work in a close coordination to facilitate us in the organized and smooth functioning of the entire business operation. In our manufacturing unit, we have installed an advanced range of machinery and tools that help us in the production of quality-assured bags at a fast production rate. 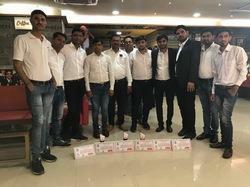 Backed by a team of engineers, procuring agents, quality controllers, R & D professionals, warehousing & packaging experts, sales & marketing executives, we work to attain maximum customer approval and satisfaction. Utilizing their skills, knowledge, and experience, we have been able to cater to the precise needs of our valuable customers in the most efficient manner. 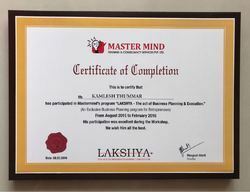 To enhance and polish their skills in the most efficient manner, our employees are trained regular intervals of time through seminars and workshops. They work in close coordination with each other, to avoid any kind of hassles in the workplace. FEPL has state of the art manufacturing set-upwith latest technology machineryto meet the International standaards.We have an inhouse design department offfering variety of designs as required by customers. with a commited team of employees working with unanimous vision, dedication and hard work to achieve a common goal of " Customer Satisfaction ". 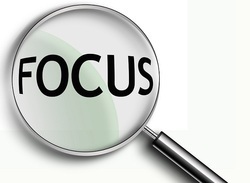 We Believes in supplying quality products at competetive prices by keeping commitments of its customers.We believe in having long term relationship with each and every customer. we believe in "The power of smiling'; smiling can lighten up a mood, decrease stress, and most importantly bring happiness to another person’s life..glad to be a part of Vibhushita NGO.Every woman has a desire to dress well. For families with limited financial resources in India, this desire gets lower priority and it remains a dream for the woman. Vibhushita tries to fulfill her dream, by collecting gently used “function/event wear” clothes and distributing them in India. Dressing well for an occasion like a wedding, engagement or just a festival will now become a reality for every woman.